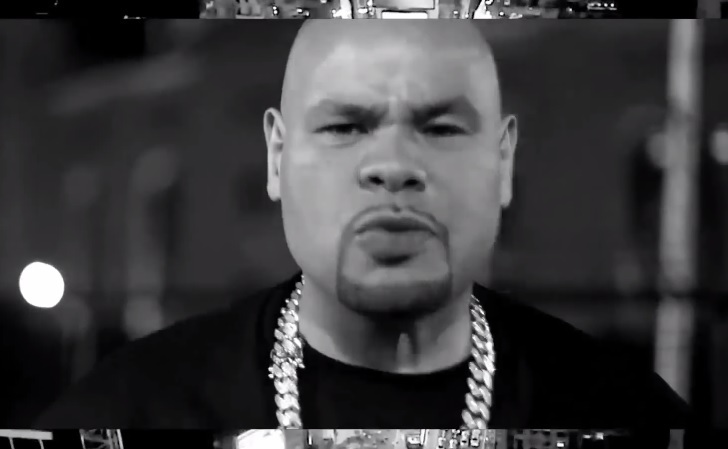 Fat Joe reflects on some less than happier times in his life with his new single, “PAIN,” which is featured on the incarcerated rapper’s Darkside 3 mixtape. Obviously shot before Joe had to turn himself in on tax evasion charges, the black and white visual keeps things simple with the New York emcee performing to the camera on some stairs. Aerial shots of the city can also been seen flying across the screen along the top and bottom. Take a look at Joe’s latest visual for his soulful street banger. This entry was posted in Music, Video and tagged darkside 3, Fat Joe, hip hop, mixtape, pain, rap. Bookmark the permalink.